Viral arthritis is an acute arthritis that is caused by a viral infection. According to Clinical Medicine, about one percent of all cases of acute arthritis is associated with a viral causative agent. Many viruses have been reported as the cause of viral arthritis. In those who have acute onset of polyarthritis, a viral cause should be considered. Viruses are not believed to cause the destructive, chronic inflammatory types of arthritis, such as rheumatoid arthritis. But viruses can initiate rheumatic symptoms through various mechanisms. Viruses can directly invade a joint which leads to an infection of the synovium or surrounding joint tissues. Viral particles (whole virions or viral antigens) may act as the antigen in immune complexes which form in response to a viral infection. In such cases, the immune complexes may be deposited in the joints. The other mechanism of action involves persistent viral infections which lead to immune dysregulation and chronic inflammatory reactions. Typical symptoms associated with viral arthritis include symmetric joint involvement that can develop as arthralgia (joint pain) or arthritis (joint inflammation) that mimics rheumatic disease, often with a characteristic rash. The joint symptoms can precede or coincide with the clinical signs and symptoms of viral infection. However, some viral infections do persist or recur. Even so, viral arthritis generally does not lead to persistent chronic arthritis with joint destruction—with the exception of chikungunya. Diagnosis of viral arthritis can be a bit tricky because there is no single presentation of symptoms that would be considered typical. The usual signs and symptoms—fever, rash, and joint pain—are also common to several other diseases and conditions. Since arthritis may precede signs of the viral infection, that too complicates the diagnostic process. Serologic testing is the most effective way to establish the diagnosis of viral arthritis when a viral infection is suspected—or to pin down the cause of arthritis or arthralgia of unknown origin regardless. If a viral infection is suspected, serology should be performed immediately and again after 2 to 3 weeks. An increase (4 times or more) in IgG over time is associated with recent infection whereby the initial blood sample was taken too late to detect IgM, It could also be indicative of reinfection or a recurrence. Stable IgG levels do not support the diagnosis of a recent viral infection. It may be indicative of an old viral infection not associated with arthritis which later developed. Blood tests are also usually ordered in an effort to rule out other possible causes for the joint symptoms. For example, rheumatoid factor, anti-CCP, sed rate, and CRP would typically be ordered. Because of the availability of specific vaccinations (e.g., mumps) or the development of antiretroviral medications (e.g., for HIV), it has become less common to see viral arthritis associated with certain viruses. 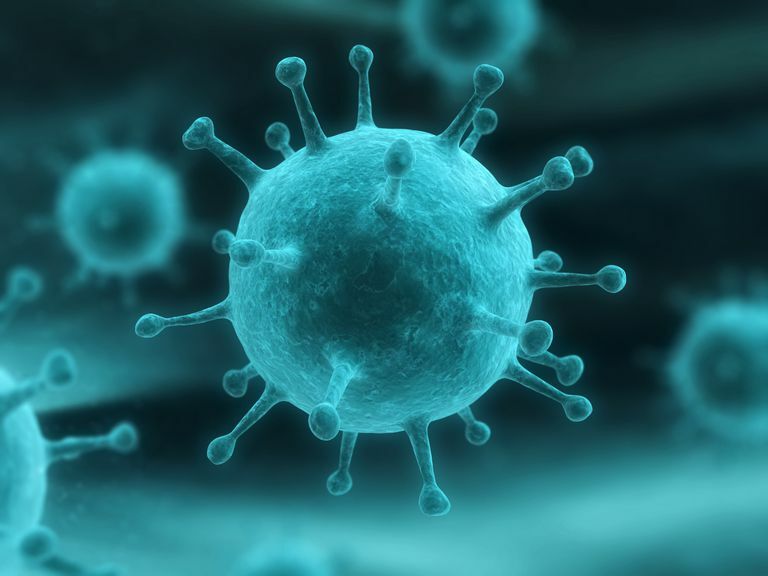 Other viruses that may also be associated with viral arthritis, but less commonly, include Hepatitis E, human T-lymphotropic virus type-1, enterovirus, and the dengue virus. The chikungunya virus, an alphavirus which has caused disease in Africa and Asia primarily, is spread by Aedes mosquitoes. Acute chikungunya usually lasts for up to a week, but it is associated with arthritis that persists for up to 36 months. Usually, the symmetrical arthritis of chikungunya affects the fingers, wrists, knees, and ankles. Relapsing and remitting symptoms occur in 60 to 80 percent of those affected, according to Clinical Medicine. The outbreak of chikungunya that has occurred in the Caribbean is likely to increase the prevalence of this specific type of viral arthritis since it is a hot spot for travelers. Treatment of viral arthritis focuses on symptom relief, as well as maintaining joint function. Analgesics and nonsteroidal anti-inflammatory drugs (NSAIDs) may be prescribed. Corticosteroids are generally avoided, especially since they can mask or worsen the underlying viral disease. Physical therapy and occupational therapy can help preserve joint function. It should be noted though that most cases of viral arthritis are self-limiting (i.e., resolves without treatment). It is in your best interest to take early symptoms to your doctor for an appropriate and accurate diagnosis. It is necessary to determine the type of arthritis so that it can be properly managed. In the case of viral arthritis, a DMARD (disease modifying anti-rheumatic drug) would not be initiated as it often is to treat rheumatoid arthritis or other inflammatory types of arthritis. Bottom line—recognize early symptoms and consult your doctor. Marks, M. and Marks, J.L. Viral Arthritis. Clinical Medicine. April 2016. Moore, Terry L. MD. Pathogenesis and Diagnosis of Viral Arthritis. UpToDate. Updated April 18, 2017. Moore, Terry L. MD and Syed, Reema MD. Specific Viruses That Cause Arthritis UpToDate. Updated March 3, 2016. Vyas, Jatin M. MD, PhD et al. Viral Arthritis. MedlinePlus. Reviewed 12/10/2015. They're painless, but they can be a sign of joint damage down the road.